It’s that time of year! 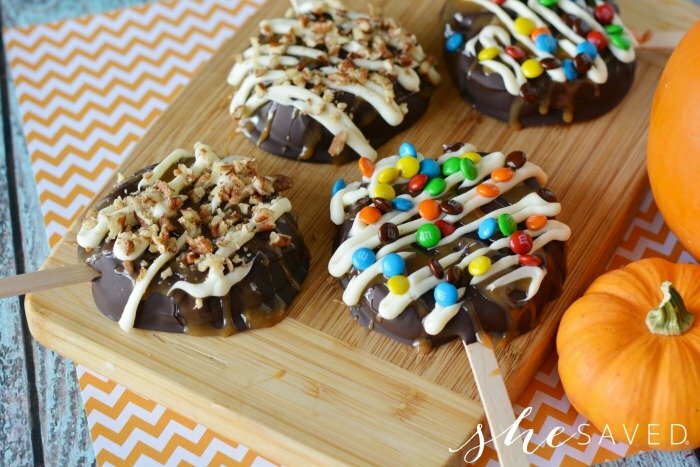 Fall is the perfect time for caramel and candy covered apples. 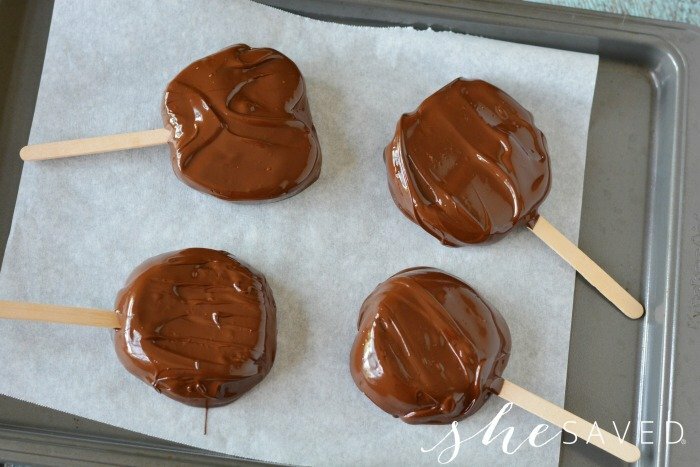 If you want the wonderful taste of a sweet apple treat without all of the work of a caramel covered apple, you are going to love these Chocolate Covered Apple Slices! 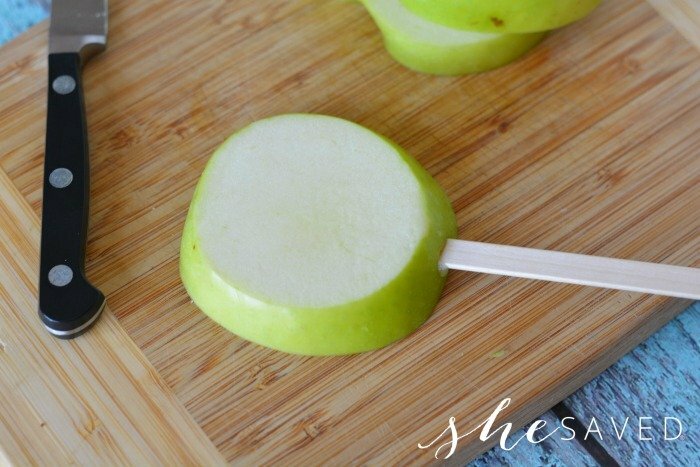 These chocolate covered apple slices are an amazing treat that is actually super simple and perfect for parties and bake sales too! They also make for a fun party activity, and everyone will enjoy the results of their creations! This recipe will make 6-8 apple slices. You’ll probably run out of chocolate first so grab two bags if you want more! Note: 1 apple makes about 4 slices. 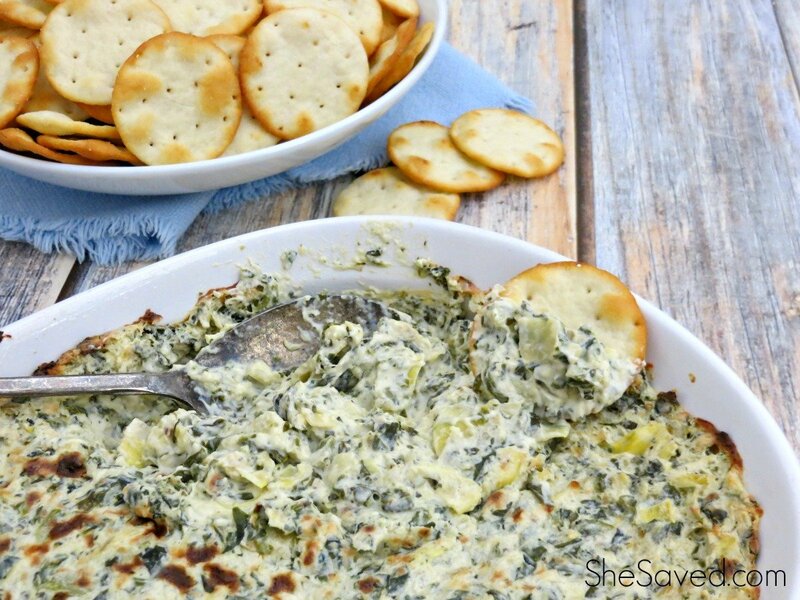 I discarded/ate the ends that were round but you can certainly dip them. Have at least one extra apple if you are trying to make a specific number of apples. Sometimes you’ll mis-slice the slit for the stick or it will break. Slice them into about four large slices, discarding the round ends, or using if desired. Each slice is about 1/2-5/8″ thick. 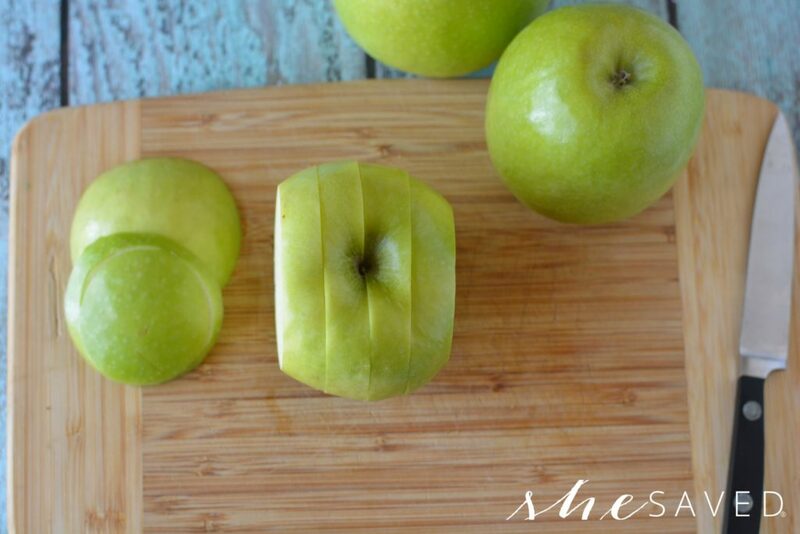 Use a sharp knife to carefully put a slit in the bottom of each apple. Gently insert a popsicle stick into the slit. Repeat for all apples. 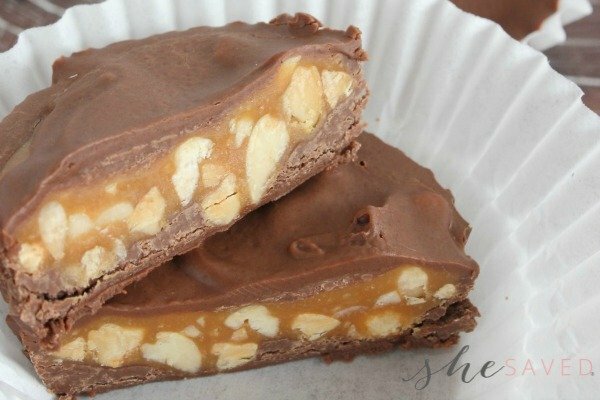 Melt chocolate in a microwave safe container at 70% power for 1 minute. Stir and continue to heat in 30 second increments on 70% power until melted. Stir until smooth. 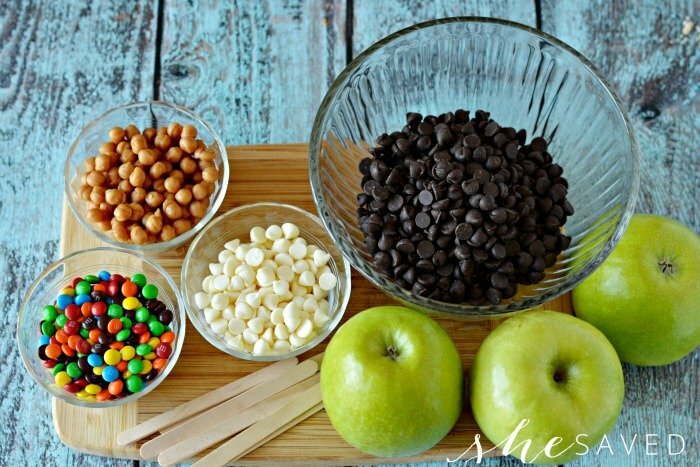 Dip apples into chocolate and place onto prepared baking sheet. Refrigerate for 20 minutes. Meanwhile, melt caramel bits and milk in a microwave safe bowl for 1 minute. 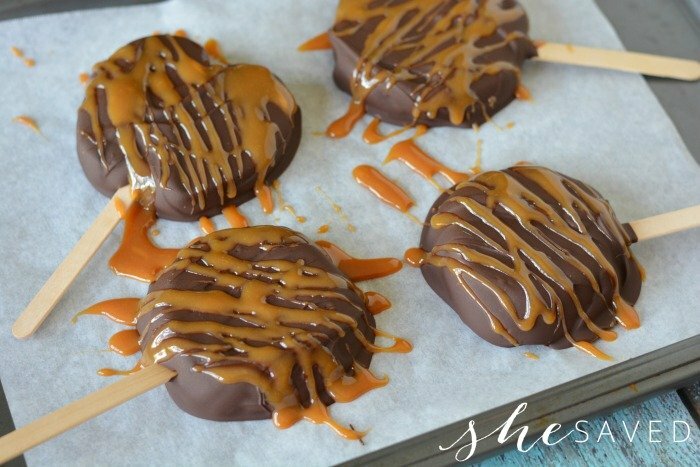 Stir until combined and caramel is melted completely. Return to microwave if necessary in 30 second increments at 70% power until melted. Remove apples from refrigerator and drizzle with caramel. Return to fridge to let set. Microwave white chips for 45 seconds on 70% power, stirring until smooth. OR alternatively you can place the white chips into a ziplock sandwich bag and microwave. Knead until smooth. Drizzle with a spoon onto your apples or cut the tip of the bag and drizzle onto your apples. Top with m&ms and chopped pecans as desired. Return to fridge until ready to serve. 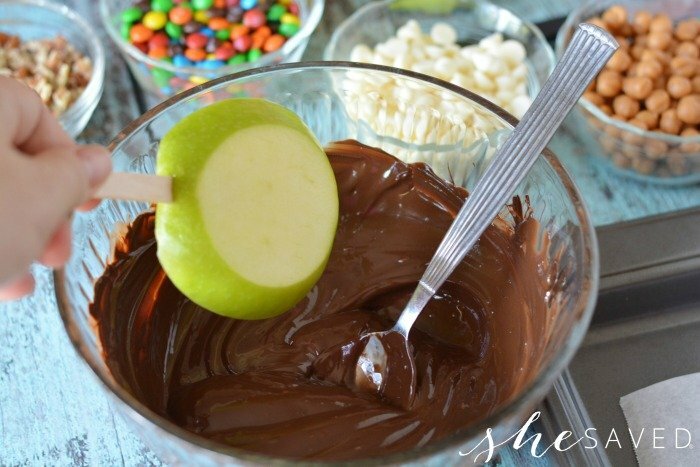 Obviously you can modify these fun Chocolate Covered Apple Slices to fit your event or them. Get creative! My kids love chocolate covered apples. I've never tried cutting them in slices, but I can see how this would get more chocolate on each piece. Thanks for sharing on Merry Monday. 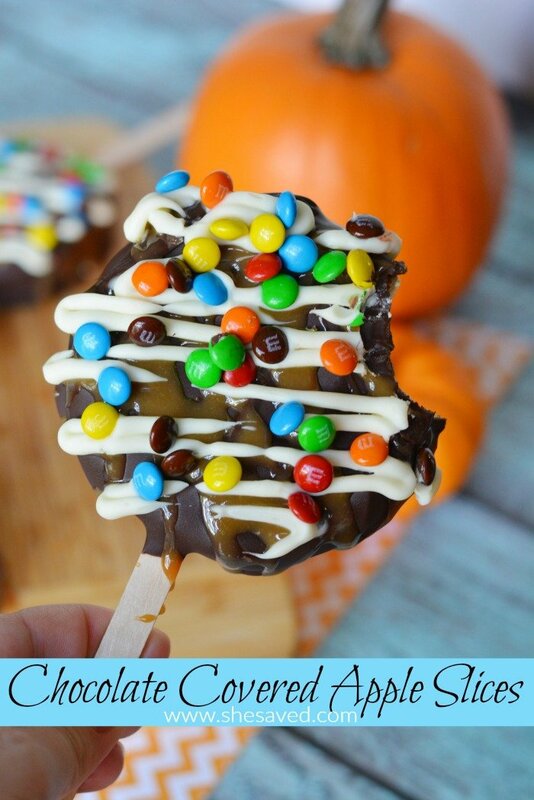 These look delicious - they'd be perfect for a fall party! Congratulations on the feature at Wonderful Wednesday. I love your chocolate covered apple slices.